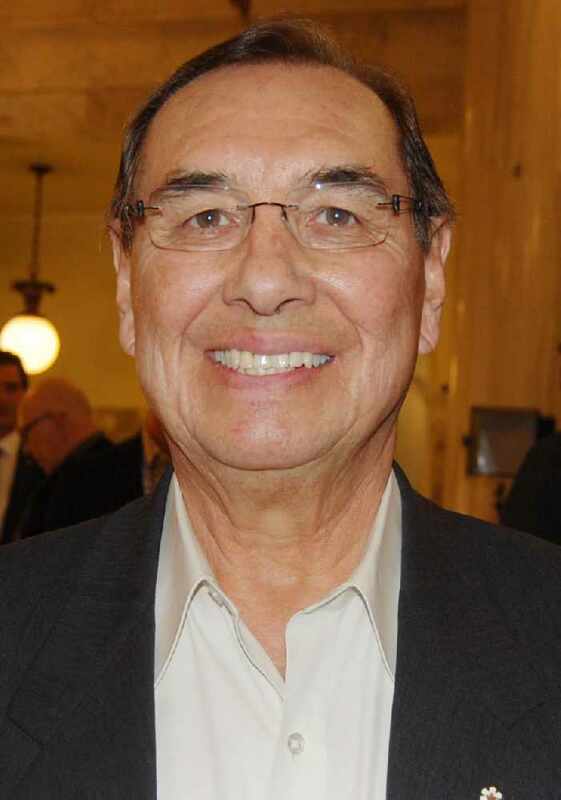 Treaty 6 Grand Chief Wilton Littlechild and Indigenous Relations Minister Richard Feehan offer the same reason why safe drinking water on First Nations is a budgetary priority. It’s about implementing the United Nations Declaration on the Rights of Indigenous Peoples. The budget delivered by Finance Minister Joe Ceci on March 16 included $25 million in each of four years to tackle access to a clean and reliable source of drinking water in First Nations communities. That money will be integrated with federal government efforts. “The message of the (UN) declaration is for us to work together. And this is a good example of where three orders of government are working together,” said Littlechild. Feehan went a step further saying the province would not be held up by jurisdictional issues. “Drinking water is a fundamental right of people. In the past there’s been a jurisdictional divide that’s prevented the province from moving ahead and we’ve decided that we’re going to break through that and work with the federal government,” he said. Feehan noted that it is difficult to get a read on how many of the province’s First Nations have unsafe drinking water as they all have differing levels of systems, and what could provide safe drinking water today may not hold up a year later. “We’re asking the communities to evaluate whether or not they need to be moved to a better system and we’ll be working with the communities to help them determine priorities and move ahead with as many as we can with $100 million that has been guaranteed through this budget,” he said. Littlechild said the budget also offers other opportunities for the Indigenous peoples. Littlechild is also pleased with the government’s stand on moving the Trans Mountain pipeline and Line 3 forward. The budget document promises the government will “continue to work respectfully and collaboratively with Indigenous communities” to this end. Feehan noted that there is $151 million allocated over three years through the climate leadership initiative to help communities develop strategies. Those funds are “even (for) working toward equity investment in large scale utilities that are based on wind and solar and so on that allow the First Nations communities to actually be part of the economy and not just simply recipients of the energy systems that are around them. So it’s very exciting,” he said. Overall, Littlechild is pleased with newest provincial budget. “The whole budget kind of implicates (off-reserve First Nations people), whether it’s education, whether its new hospitals or health services, senior citizen services, helping children as students with reduced tuition fees, and so on. I think the whole budget implicates everyone that’s off reserve,” he said. Alberta’s debt is now set at $45 billion as the budget has no major cuts and no new taxes. The government has reduced school fees by 25 per cent; frozen tuition fees for post-secondary students for the third consecutive year; capped electricity rates; and invested funds in schools, a hospital and healthcare, and affordable housing.